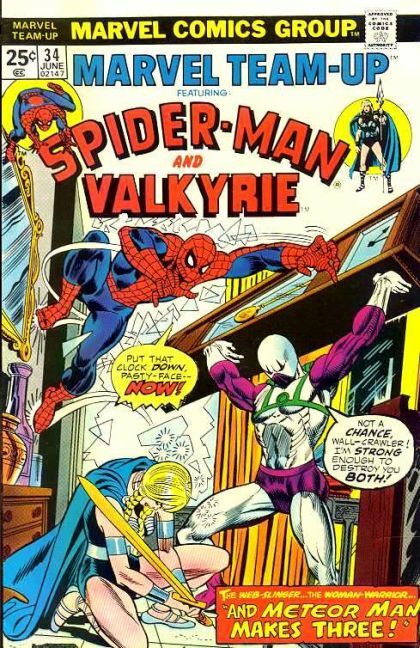 Spider-Man and Valkyrie: Beware the Death Crusade! Valkyrie is upset to learn that Nighthawk stopped pursuing the Meteor Man, so she teams up with Spider-Man to bring him to justice. They do, but a greater threat is looming as well.